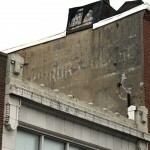 I was interviewed by Philadelphia Inquirer metropolitan columnist Dan Rubin about this Philly Ghost Signs Project blog. 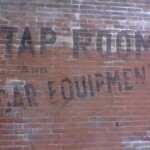 It was really fun, and has renewed my interest in seeking out and capturing more signage around Philadelphia. 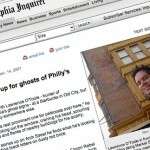 The article even made the front page of the Inquirer online! Super cool! We heart your pix! Congratulations Lawrence! 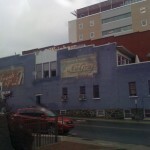 I will post this in the Fading Ad Blog. Great pics. 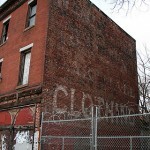 I was hooked on ghost signs in Chicago, always thought about hunting and logging them but never followed through with it. 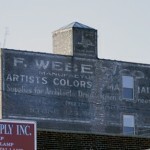 In north Chicago a building was knocked down revealing and dish soap ad depicting two black children washing dishes. The sign’s slogan (which I can’t remember exactly but I remember the gist) was very politically and morally incorrect by todays standards. I remember thinking that it was an amazing American time capsule, even to show our ignorance. As a condo slowly went up next to the ad I wondered every day if the sign would attract news, protesters, or temporary masking to cover it. But to my knowledge it just went unnoticed as most ghost do… and I never got out a camera to capture it before the condo walls went up. Good for you for preserving these images- you never know when you might be kicking yourself for not catching them while they are shown. 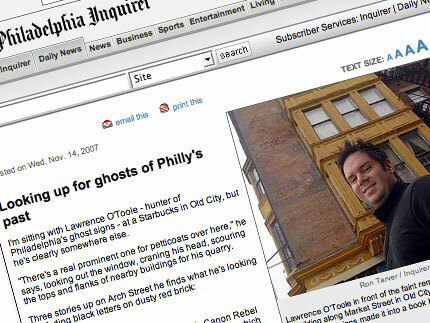 I’ll look out for ghosts and send you a tip if I see any.